The information you obtain at this site is not, nor is it intended to be, legal advice. 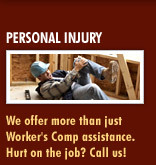 You should consult an attorney for individual advice regarding your own personal situation. The Law Office of Davoli & Krumholt knows that the privacy of the personal information that we receive about you is important to you. 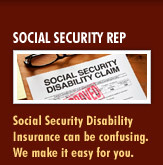 We understand that you trust us to protect the confidentiality and security of that information. The information we collect about you is used only to provide the services that you request from us. The Law Office of Davoli & Krumholt does not disclose any public or nonpublic personal information about you that you have provided to us to anyone outside of our company, except as authorized by you or as required by law. In addition, we will release information to the extent required by law or regulation. We do not sell client information to anyone or disclose client information to marketing companies. We restrict access to public and nonpublic personal information about you that you have provided to us to those The Law Office of Davoli & Krumholt staff members who need to know the information to provide services to you. All The Law Office of Davoli & Krumholt employees are required to maintain the confidentiality of all nonpublic personal information about you. The Law Office of Davoli & Krumholt maintains all records and is responsible for updating data. This Web site and any information included are for personal use only. Any information relating to the campaign for any other purpose, including but not limited to, reproducing and storing in a retrieval system by any means, electronic or mechanical, photocopying or using the addresses or other information for any private, commercial or political mailing or contact, is strictly prohibited, is in direct violation of copyright and would constitute misappropriation of corporate property. All information contained herein remains the property of the The Law Office of Davoli & Krumholt. The data contained on this Web site may not be reproduced in whole or in part by any person or entity without the express written permission of the The Law Office of Davoli & Krumholt. The The Law Office of Davoli & Krumholt have attempted to verify and correctly state the information contained herein. However, the The Law Office of Davoli & Krumholt and its webmasters disclaim all liability and responsibility for the accuracy of this information. In addition, circumstances may have rendered some information herein obsolete prior to the date of the publication or prior to the time the information is reviewed by the reader. The Law Office of Davoli & Krumholt has adopted these guidelines to ensure customer privacy and protect personal data. The Law Office of Davoli & Krumholt protects the security of your personal information and honors your choices for its intended use. We carefully protect your data from loss, misuse, unauthorized access or disclosure, alteration or destruction. Personal information will be used for The Law Office of Davoli & Krumholt business purposes only. If you believe The Law Office of Davoli & Krumholt has not has not adhered to the principles above, please notify us by email. We will do our best to determine and correct the problem promptly. By accessing the The Law Office of Davoli & Krumholt WebSite ("the Service"), you signify your agreement to all terms, conditions, and notices contained or referenced herein, the Terms of Service ("TOS"). If you do not agree to the TOS, do not use this Service. We reserve the right, at our discretion, to update or revise the TOS. Please check the Terms periodically for changes. The Law Office of Davoli & Krumholt provides its service to you, subject to the following TOS, which may be updated by us from time to time without notice to you. In addition, when using particular The Law Office of Davoli & Krumholt services, you shall be subject to any posted guidelines or rules applicable to such services which may be posted from time to time. All such guidelines or rules are hereby incorporated by reference into the TOS. Your continued use of this Service following the posting of any changes to the TOS constitutes acceptance of those changes. The Law Office of Davoli & Krumholt currently provides users with access to online resources. Unless explicitly stated otherwise, any new features that augment or enhance the current Service, including the release of new The Law Office of Davoli & Krumholt properties, shall be subject to the TOS. You understand and agree that the Service is provided "AS-IS" and that The Law Office of Davoli & Krumholt assumes no responsibility for the timeliness, deletion, mis-delivery or failure to store any user communications or personalization settings. a. YOUR USE OF THE SERVICE IS AT YOUR SOLE RISK. THE SERVICE IS PROVIDED "AS IS" AND "AS AVAILABLE," WITHOUT WARRANTY OF ANY KIND, EITHER EXPRESS OR IMPLIED, INCLUDING WITHOUT LIMITATION, ANY WARRANTY FOR INFORMATION, DATA, SERVICES, UNINTERRUPTED ACCESS, OR PRODUCTS PROVIDED THROUGH OR IN CONNECTION WITH THE SERVICE. SPECIFICALLY, The Law Office of Davoli & Krumholt DISCLAIMS ANY AND ALL WARRANTIES, INCLUDING, BUT NOT LIMITED TO ANY WARRANTIES CONCERNING THE AVAILABILITY, ACCURACY, USEFULNESS, OR CONTENT OF INFORMATION, PRODUCTS OR SERVICES, AND DISCLAIMS WARRANTIES OF MERCHANTABILITY, FITNESS FOR A PARTICULAR PURPOSE AND NON-INFRINGEMENT. THIS DISCLAIMER OF LIABILITY APPLIES TO ANY DAMAGES OR INJURY WHETHER FOR BREACH OF CONTRACT, TORTUOUS BEHAVIOR, NEGLIGENCE, OR UNDER ANY OTHER CAUSE OF ACTION. b. The Law Office of Davoli & Krumholt MAKES NO WARRANTY THAT (i) THE SERVICE WILL MEET YOUR REQUIREMENTS, (ii) THE SERVICE WILL BE UNINTERRUPTED, TIMELY, SECURE, OR ERROR-FREE, (iii) THE RESULTS THAT MAY BE OBTAINED FROM THE USE OF THE SERVICE WILL BE ACCURATE OR RELIABLE, (iv) THE QUALITY OF ANY PRODUCTS, SERVICES, INFORMATION, OR OTHER MATERIAL PURCHASED OR OBTAINED BY YOU THROUGH THE SERVICE WILL MEET YOUR EXPECTATIONS, AND (V) ANY ERRORS IN THE SOFTWARE WILL BE CORRECTED. d. NO ADVICE OR INFORMATION, WHETHER ORAL OR WRITTEN, OBTAINED BY YOU FROM The Law Office of Davoli & Krumholt OR THROUGH OR FROM THE SERVICE SHALL CREATE ANY WARRANTY NOT EXPRESSLY STATED IN THE TOS. 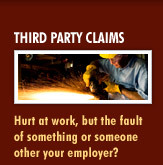 NEITHER The Law Office of Davoli & Krumholt NOR ANY OF ITS EMPLOYEES, AGENTS, SUCCESSORS, ASSIGNS, AFFILIATES, OR CONTENT OR SERVICE PROVIDERS SHALL BE LIABLE TO YOU OR ANY OTHER THIRD PARTY FOR ANY DAMAGES ARISING OUT OF USE OF THE SERVICE OR INABILITY TO GAIN ACCESS TO OR USE THE SERVICE OR OUT OF ANY BREACH OF ANY WARRANTY. THIS LIMITATION APPLIES WHETHER THE ALLEGED LIABILITY IS BASED ON CONTRACT, TORT, NEGLIGENCE, STRICT LIABILITY, OR ANY OTHER BASIS, EVEN IF The Law Office of Davoli & Krumholt HAS BEEN ADVISED OF THE POSSIBILITY OF SUCH DAMAGE. BECAUSE SOME JURISDICTIONS DO NOT ALLOW THE EXCLUSION OR LIMITATION OF LIABILITY FOR CONSEQUENTIAL OR INCIDENTAL DAMAGES, THE ABOVE LIMITATION MAY NOT APPLY TO YOU. IN SUCH JURISDICTIONS, THE RESPECTIVE LIABILITY OF The Law Office of Davoli & Krumholt, ITS EMPLOYEES, AGENTS, SUCCESSORS, ASSIGNS, AFFILIATES, AND CONTENT OR SERVICE PROVIDERS IS LIMITED TO THE GREATEST EXTENT PERMITTED BY SUCH LAW. FURTHER, YOU EXPRESSLY UNDERSTAND AND AGREE THAT The Law Office of Davoli & Krumholt SHALL NOT BE LIABLE FOR ANY DIRECT, INDIRECT, PUNITIVE, INCIDENTAL, SPECIAL, CONSEQUENTIAL OR EXEMPLARY DAMAGES, INCLUDING BUT NOT LIMITED TO, DAMAGES FOR LOSS OF PROFITS, GOODWILL, USE, DATA OR OTHER INTANGIBLE LOSSES (EVEN IF The Law Office of Davoli & Krumholt HAS BEEN ADVISED OF THE POSSIBILITY OF SUCH DAMAGES), RESULTING FROM: (i) THE USE OR THE INABILITY TO USE THE SERVICE; (ii) THE COST OF PROCUREMENT OF SUBSTITUTE GOODS AND SERVICES RESULTING FROM ANY GOODS, DATA, INFORMATION OR SERVICES PURCHASED OR OBTAINED OR MESSAGES RECEIVED OR TRANSACTIONS ENTERED INTO THROUGH OR FROM THE SERVICE; (iii) UNAUTHORIZED ACCESS TO OR ALTERATION OF YOUR TRANSMISSIONS OR DATA; (iv) STATEMENTS OR CONDUCT OF ANY THIRD PARTY ON THE SERVICE; OR (v) ANY OTHER MATTER RELATING TO THE SERVICE. You understand that all information, data, text, software, music, sound, photographs, graphics, video, messages or other materials ("Content"), whether publicly posted or privately transmitted, are the sole responsibility of the person from which such Content originated. This means that you, and not The Law Office of Davoli & Krumholt, are entirely responsible for all Content that you upload, post, email, transmit or otherwise make available via the Service. The Law Office of Davoli & Krumholt does not control the Content posted via the Service and, as such, does not guarantee the accuracy, integrity or quality of such Content. You understand that by using the Service, you may be exposed to Content that is offensive, indecent or objectionable. Under no circumstances will The Law Office of Davoli & Krumholt be liable in any way for any Content, including, but not limited to, for any errors or omissions in any Content, or for any loss or damage of any kind incurred as a result of the use of any Content posted, emailed, transmitted or otherwise made available via the Service. You acknowledge that The Law Office of Davoli & Krumholt does not pre-screen Content, but that The Law Office of Davoli & Krumholt and its designees shall have the right (but not the obligation) in their sole discretion to refuse or move any Content that is available via the Service. Without limiting the foregoing, The Law Office of Davoli & Krumholt and its designees shall have the right to remove any Content that violates the TOS or is otherwise objectionable. You agree that you must evaluate, and bear all risks associated with, the use of any Content, including any reliance on the accuracy, completeness, or usefulness of such Content. In this regard, you acknowledge that you may not rely on any Content created by The Law Office of Davoli & Krumholt or submitted to The Law Office of Davoli & Krumholt, including without limitation information in The Law Office of Davoli & Krumholt Links, News, and in all other parts of the Service. You acknowledge and agree that The Law Office of Davoli & Krumholt may preserve Content and may also disclose Content if required to do so by law or in the good faith belief that such preservation or disclosure is reasonably necessary to: (a) comply with legal process; (b) enforce the TOS; (c) respond to claims that any Content violates the rights of third-parties; or (d) protect the rights, property, or personal safety of The Law Office of Davoli & Krumholt, its users and the public. The Law Office of Davoli & Krumholt does not claim ownership of Content you submit or make available for inclusion on the Service. However, with respect to Content you submit or make available for inclusion in the Service, you grant The Law Office of Davoli & Krumholt an unlimited, world-wide, royalty free license. Upon a request by The Law Office of Davoli & Krumholt, you agree to defend, indemnify, and hold harmless The Law Office of Davoli & Krumholt and other affiliated companies, and their employees, contractors, officers, and directors from all liabilities, claims, and expenses, including attorney's fees, that arise from your use or misuse of this Service. The Law Office of Davoli & Krumholt reserves the right, at it own expense, to assume the exclusive defense and control of any matter otherwise subject to indemnification by you, in which event you will cooperate with The Law Office of Davoli & Krumholt in asserting any available defenses. Further, you agree to indemnify and hold The Law Office of Davoli & Krumholt, and its subsidiaries, affiliates, officers, agents, co-branders or other partners, and employees, harmless from any claim or demand, including reasonable attorneys' fees, made by any third party due to or arising out of Content you submit, post, transmit or make available through the Service, your use of the Service, your connection to the Service, your violation of the TOS, or your violation of any rights of another. You acknowledge that The Law Office of Davoli & Krumholt may establish general practices and limits concerning use of the Service, including without limitation the maximum number of days that email messages, message board postings or other uploaded Content will be retained by the Service, the maximum number of email messages that may be sent from or received by an account on the Service, the maximum size of any email message that may be sent from or received by an account on the Service, the maximum disk space that will be allotted on The Law Office of Davoli & Krumholt's servers on your behalf, and the maximum number of times (and the maximum duration for which) you may access the Service in a given period of time. You agree that The Law Office of Davoli & Krumholt has no responsibility or liability for the deletion or failure to store any messages and other communications or other Content maintained or transmitted by the Service. You acknowledge that The Law Office of Davoli & Krumholt reserves the right to log off accounts that are inactive for an extended period of time. You further acknowledge that The Law Office of Davoli & Krumholt reserves the right to change these general practices and limits at any time, in its sole discretion, with or without notice. The Law Office of Davoli & Krumholt reserves the right at any time and from time to time to modify or discontinue, temporarily or permanently, the Service (or any part thereof) with or without notice. You agree that The Law Office of Davoli & Krumholt shall not be liable to you or to any third party for any modification, suspension or discontinuance of the Service. 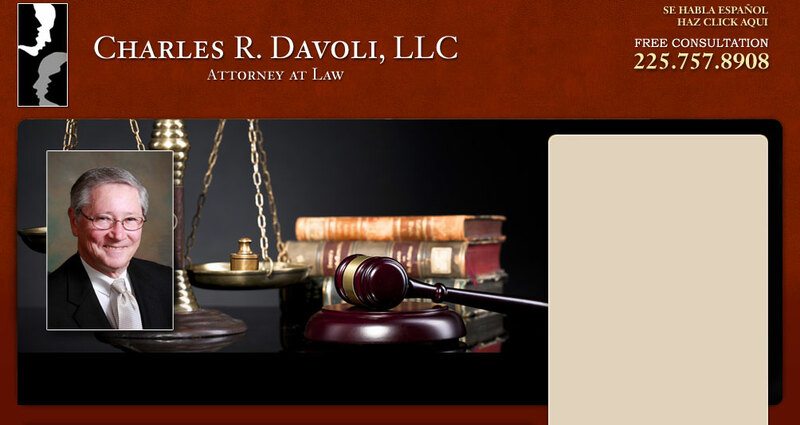 The Law Office of Davoli & Krumholt reserves the right, in its sole discretion, to terminate your access to all or part of this Service, with or without notice. You agree that The Law Office of Davoli & Krumholt, in its sole discretion, may terminate your use of the Service, and remove and discard any Content within the Service, for any reason, including, without limitation, for lack of use or if The Law Office of Davoli & Krumholt believes that you have violated or acted inconsistently with the letter or spirit of the TOS. The Law Office of Davoli & Krumholt may also in its sole discretion and at any time discontinue providing the Service, or any part thereof, with or without notice. You agree that any termination of your access to the Service under any provision of this TOS may be effected without prior notice, and acknowledge and agree that The Law Office of Davoli & Krumholt may immediately deactivate or delete your account and all related information and files in your account and/or bar any further access to such files or the Service. Further, you agree that The Law Office of Davoli & Krumholt shall not be liable to you or any third-party for any termination of your access to the Service. Your correspondence or business dealings with, or participation in promotions of, advertisers found on or through the Service, including payment and delivery of related goods or services, and any other terms, conditions, warranties or representations associated with such dealings, are solely between you and such advertiser. You agree that The Law Office of Davoli & Krumholt shall not be responsible or liable for any loss or damage of any sort incurred as the result of any such dealings or as the result of the presence of such advertisers on the Service. NOTE THAT ALL MERCHANDISE SOLD OR GIVEN AWAY ON THE The Law Office of Davoli & Krumholt WEBSITE ARE PROVIDED BY ADVERTISERS AND NOT The Law Office of Davoli & Krumholt, REGARDLESS OF THE APPEARANCE OR BRANDING OF THE PRODUCT OFFERING OR ADVERTISEMENT ON THE The Law Office of Davoli & Krumholt WEBSITE. IF YOU DO NOT WISH TO DEAL WITH SUCH ADVERTISERS, DO NOT PURCHASE ANY ITEMS FOR SALE OR ACCEPT ITEMS ON THE The Law Office of Davoli & Krumholt WEBSITE. The Service may provide, or third parties may provide, links to other World Wide Web sites or resources. Because The Law Office of Davoli & Krumholt has no control over such sites and resources, you acknowledge and agree that The Law Office of Davoli & Krumholt is not responsible for the availability of such external sites or resources, and does not endorse and is not responsible or liable for any Content, advertising, products, or other materials on or available from such sites or resources. You further acknowledge and agree that The Law Office of Davoli & Krumholt shall not be responsible or liable, directly or indirectly, for any damage or loss caused or alleged to be caused by or in connection with use of or reliance on any such Content, goods or services available on or through any such site or resource. This TOS shall be governed by and construed in all respects by the laws of the State of Louisiana, as such laws are applied to agreements entered into and performed entirely within the State of Louisiana and between Louisiana residents. If any provision of these Terms is held to be invalid or unenforceable, such provision shall be struck to the extent of such invalidity or unenforceability, and the remainder thereof, as well as the remaining provisions of the Terms shall be fully enforced. You expressly agree that the exclusive jurisdiction for any claim or action arising out of or relating to these TOS or your use of this Service shall be filed only in the state or federal courts located in the State of Louisiana, and you further agree and submit to the exercise of personal jurisdiction of such courts for the purpose of litigating any such claim or action. The TOS constitute the entire agreement between you and The Law Office of Davoli & Krumholt and govern your use of the Service, superceding any prior agreements between you and The Law Office of Davoli & Krumholt. You also may be subject to additional terms and conditions that may apply when you use affiliate services, third-party content or third-party software.. The failure of The Law Office of Davoli & Krumholt to exercise or enforce any right or provision of the TOS shall not constitute a waiver of such right or provision. If any provision of the TOS is found by a court of competent jurisdiction to be invalid, the parties nevertheless agree that the court should endeavor to give effect to the parties' intentions as reflected in the provision, and the other provisions of the TOS remain in full force and effect. You agree that regardless of any statute or law to the contrary, any contract arising out of or related to use of this Service provided by The Law Office of Davoli & Krumholt or otherwise arising out of or related to the provisions and conditions of the TOS, must be filed within one (1) year after such claim or cause of action first arose or shall be forever barred. The section titles in the TOS are for convenience only and have no legal or contractual effect. The Law Office of Davoli & Krumholt is not responsible for typographical errors that may occur on this website, all rates and services are subject to change without prior notice. 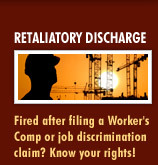 The materials on this Website are for general information purposes only and should not be construed as legal advice, attorney advice, Workers Compensation opinion or any other advice on any specific facts or circumstances. Readers should not act or refrain from acting upon this information without seeking professional advice. Transmission of information on or by use of this Website is not intended to create, and receipt does not constitute, a client relationship between the sender and receiver. Photographs and other graphics used on this website may be for dramatization purposes only, and may include models or stock photos. Likenesses do not necessarily imply current client, partnership or employee status.